Canada Film Days Festival 2013 - OPENING NIGHT FILM! In an era of heightened anxiety over cyber-bullying and school violence, Jason Buxton's debut feature packs a heavy punch. 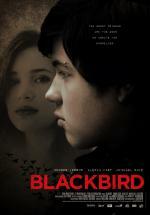 Blackbird offers a disturbing and perceptive look at the culture of fear that has arisen in the wake of Columbine and other horrific school shootings — a pervasive paranoia that reads typical teen angst and alienation as the stirrings of murderous intent.